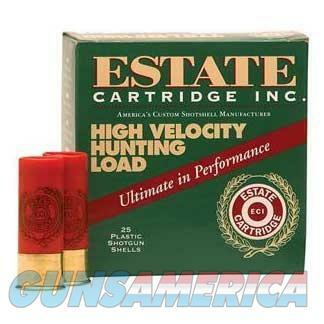 The Estate Ammo High Velocity Hunting Load shells are designed to offer outstanding accuracy and a powerful punch in a variety of applications. These shells feature quality components, clean burning powder and specially designed wads that provide dense, uniform patterns. Extra hard shot and brass plated metal heads add impressive impact for results that will take down game with each shot.